Lambert & Rehbein (SEQ) Pty Ltd (Lambert & Rehbein) was commissioned by the Department of Transport and Main Roads (DTMR) to conduct an Environmental Assessment Report (EAR) of the proposed Capalaba Park ’n’ Ride Facility. 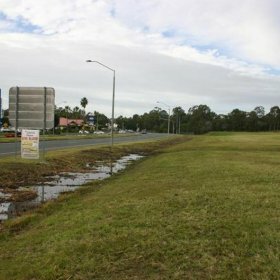 The site is located within the northern Redland City Council (RCC) suburb of Capalaba. 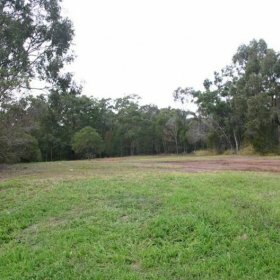 The site is predominantly located within the Moreton Bay Road reserve (western extent located in the Redland Bay Road reserve. The EAR identified relevant environmental issues and legislative requirements surrounding the proposed development. Further, the EAR briefly described the existing conditions within the site which pertain to planning and land use, flora and fauna, noise and air quality, water quality including stormwater and flooding, soils, topography and contamination (which will also review the likelihood of acid sulphate soils within the site) and cultural heritage within and adjacent to the site. The site is characterised mainly by maintained (mown/slashed) grassland with a number of drainage features (grass lined swales, head walls, open channels etc…) traversing the site at various locations. The eastern extent of the site contains some native vegetation fragments and some riparian vegetation associated with Coolnwynpin Creek. The objective of the EAR was to assess site the with regard to any environmental issues/constraints to the proposed works, including any legislation requirements. A desktop assessment of the existing environmental attributes within the site was compiled as part of a commission to prepare a design, cost estimate and contract documentation for future tender processes associated with construction of the Capalaba Park ’n’ Ride facility. Broad mitigation and management measures for each environmental element identified were also provided.